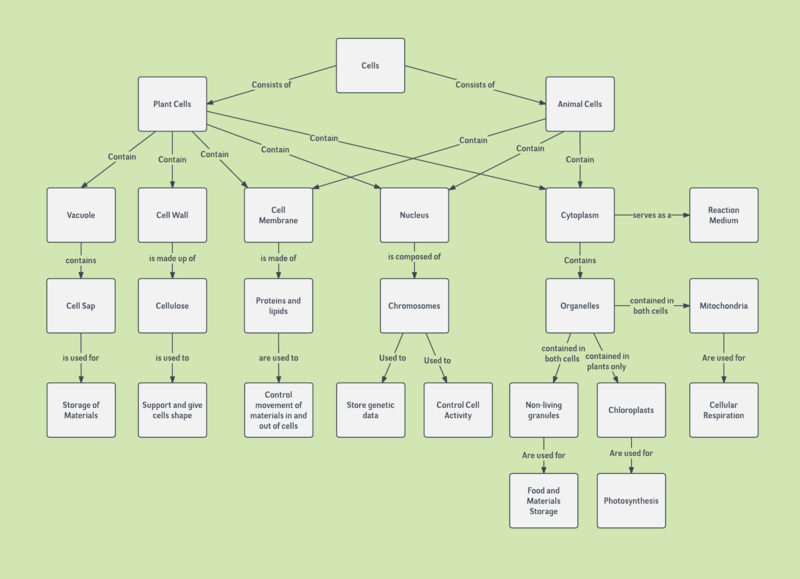 A concept map helps you explore the relationships between different ideas, such as the different components of a cell. You can visualize how the different cell parts connect and impact one another. You can use the cell concept map template above by signing up for a free Lucidchart account. Log in to begin editing the diagram to fit your needs.